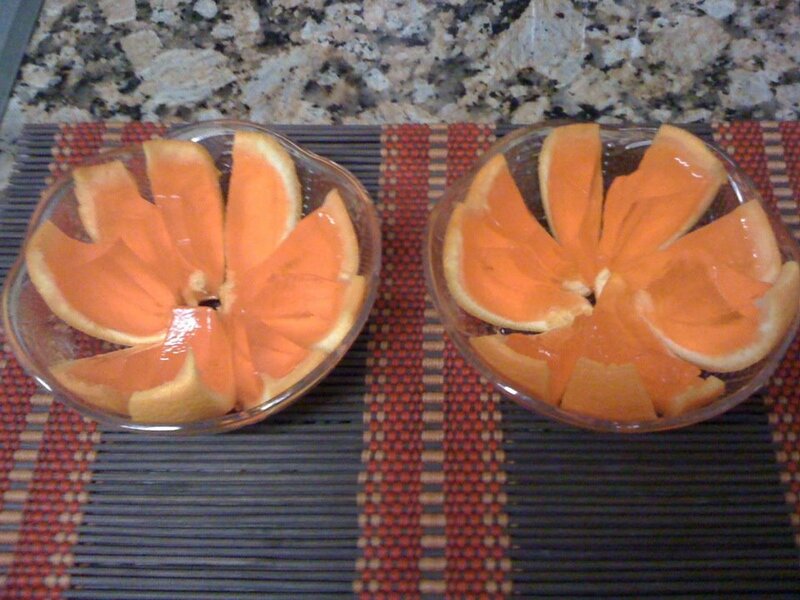 Get 6 oz pack of flavored Jell-O, mix it w/2 cups of boiling water. Cool it down to room temp, then add 2 cups of Vodka. 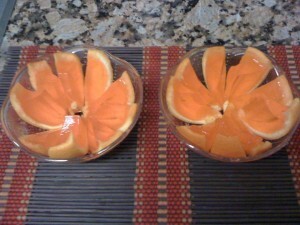 Pour in 2 hollowed oranges. Chill in a fridge for 6 hrs. Cut & serve!